Photo booth fun: Superlatives like “Most Athletic” or “Best Hair” can be printed or painted on a wooden sign and used in your own photo shoot as your party guests enter the banquet hall or party venue you have rented for them. Insta-sign: See which photos are taken at your graduation party as you enjoy the fun. Set out a chalkboard for guests with a reminder to share graduation party pictures on Instagram. Remember all the fun times with photos that you’ll be able to go back to again and again. Diploma cookies: Grab Pirouette cookies and tie red ribbons around them, so they look like diplomas. Place the cookies on a plate. They will look like a stack full of delicious diplomas! This is an easy and fun idea for teens to enjoy yummy graduation cookies. Mason jar genius: Do you want to take the mess out of making root beer floats? Simply place scoops of vanilla ice cream in mason jars and place the jars in a cooler with root beer cans. Kids can have them whenever they want, and since the mason jar is larger than the soda can, there isn’t a mess to clean up afterward. Kiddie pool drinks: This is a brilliant idea that teens will love. Fill up a large kiddie pool with ice and place soda cans on top. Kids can see the soda cans easily and grab them on the go while having a blast at the party. Suitcase cards: Use an old or thrifty suitcase and buy wooden letters at your local craft store that spell out “cards.” You can easily get wooden letters from a fabric store. Grab some twine, string it through the letters and then hang it on top of the suitcase for teens to see. The cards will be easy to keep in one place, rather than wind up scattered everywhere. Later, the grad can treasure these cards forever. Inspirational quotes: Chalkboards are so inexpensive and popular today. Place chalkboards throughout the party venue and let guests write up inspirational quotes for their favorite grad. Your teen can enjoy these for all time. 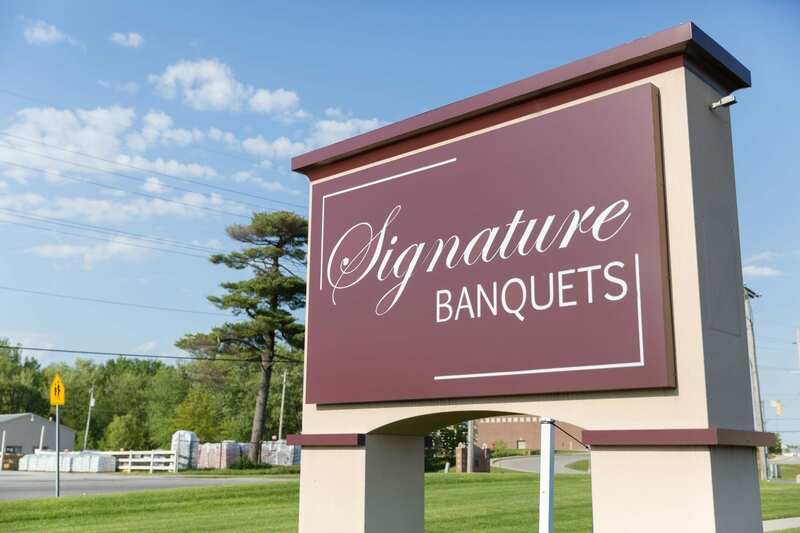 Signature Banquets offers a beautiful party venue and experienced event planners in Northwest Indiana. We offer 30 years of experience in the industry. If you’re looking for a beautiful banquet hall and a team known for high quality services, we offer the most enjoyable event space around. Let us help you make your graduation party unforgettable. Call us today to get started!